Mississippi Power Representative, Tamara Proctor, came to Our Lady of Fatima Elementary to demonstrate ways to be more energy efficient at home. One of the more important tips to these students included charging cell phones and other electronic devices until fully charge – then unplug from the charger and electrical outlet. Other tips included turn lights off when not in use and take showers instead of baths. OLF was inducted into the $1,000 club (Energy Efficiency Ed Program) for receiving $1,000 in grants. “Part of the education process is to teach students how they can be good community citizens and help mom and dad save money at home, “said Principal Cindy Hahn. 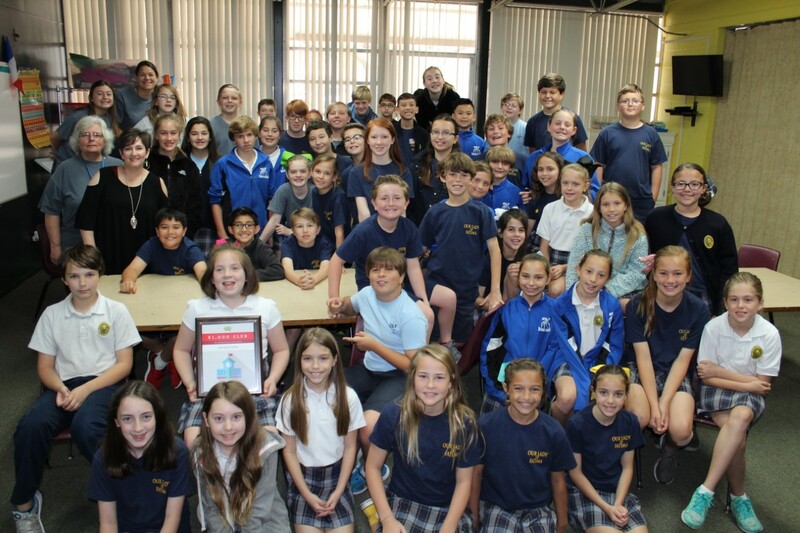 OLF was inducted into the $1000 club (Energy Efficiency Ed. Program) for receiving $1000 in grants. 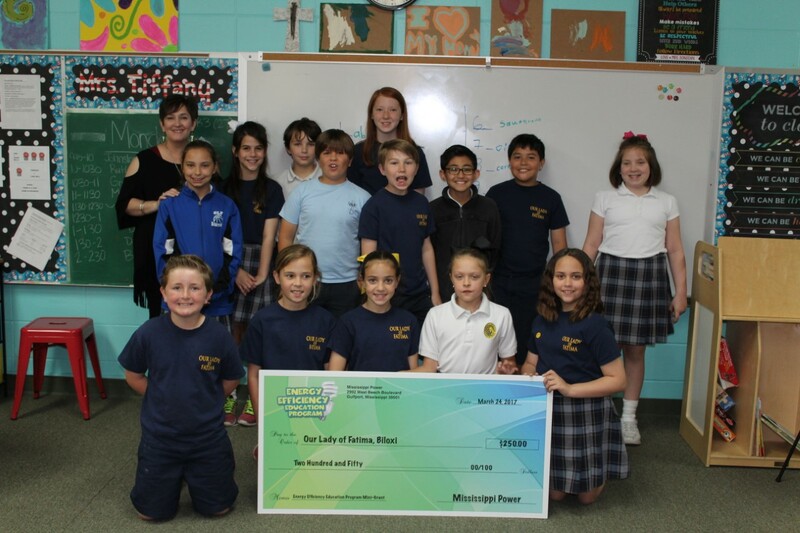 Ms. Deroche’s 4th grade class received a $250 grant from the program.